Sage HRMS solutions provide all you need for efficient and reliable human resource management. "Everyday use of Sage HRMS"
I like the ease of the software, it is easy to navigate through the different processes. It seems that it is very outdated, not sure whether this is because we have a older version or if the whole system is just lagging behind the newer HRMS systems. It tends to freeze up while I am processing through different items and then logs me out without any reason or warning. It is also very slow. The reporting system needs to be greatly updated and more easy to use, as well as more customization. My company uses Sage HRMS to track all employees as new hires, any changes to their personal information or job related functions, any promotions or terminations. We also use Sage HRMS to transfer this information into different reports that are used by various departments throughout the company, as well as for external reporting..
"I was the L3 support for this product. " The product is logical and well laid out. Once you know where things are it makes sense. There is a very nice garnishment manager. The product still uses fox pro drivers and it is really two products designed with different philosophies smashed together into one. Even though Sage wrote this software and companion software, they say they are not in the business of writing software and refuse to look at other good ideas. The support center is suffering and it would be very hard for a new user to get the information they need to be successful with this product. If I was not an expert in the use of this product, I would not use it or work on it. There is no automatic tax payment. Mobile use is not existent for the payroll part, but there is a web portal. The ESS web portal is pretty much useless. The benefits messenger is about 10 years old. It is missing many of the features you would expect from an application that has been in active development during that time. Sage has not spent any significant dollars on development in the last 4 years and the products have suffered a backlog of bugs that has been estimated between 8 and 15 years. The attendance is buggy and what makes it worse is that I don't think any of the engineers really understand how to program an attendance module. There have been attempts made to fix it. The main thing to consider when getting involved with this software is that Sage does not value their talented employees. They recently lost every talented support technician of Sage HRMS to other companies due to various changes to their support structure and it takes about two years to develop the proficiency needed in support personnel. In addition, new hires are being brought in, in a different office than the one where the engineers and professional services group are now located. This distance will further hinder the development of sufficient support resources for this product. This is an HR and Payroll product so it helps track various HR information and generates checks and bank files for payroll. What Core HR solution do you use? Reporting aside, it makes payroll much easier than calculating it by hand. The system is overall very logical and easy to figure out. My company used Sage HRMS for payroll and tracking employee information. Keeping all of it stored in one place meant that reports could be generated for senior leadership easily and on demand. The product is cost efficient effective for mid-sized companies. We process weekly payroll and have over 5000 employees. the HRMS product doesn't scale well and has performance issues. The move to SQL has been challenging for them. Most basic product seem to be a third party add on. Because of the low cost of the product we have been able to reduce the cost per check. I was trying to come up with something I like about this software but couldn't. It's missing a lot of useful functions. Employee cannot coexist in multiple companies. Cannot run reports against history. I guess because it's not a real history. No connection to benefit providers. No use for ACA reporting. "ABRA.... I mean Sage..... "
I dislike the way our hourly vacation is tracked; shows vacation on Saturday which then messes with employee's anniversary. Snowdrop KCS is an easy to use HRMS which can be a standalone HR or an integrated Payroll/HR package. It is very cost effective easy to use and very intuitive. For me the main advantage of Snowdrop KCS is that unlike some other HRMS systems it does not require high outlay in training and maintenance costs. The report writing functionality is easy to master and does not require complex training nor does it expect the users to have knowledge of the Table structures within the database. The standard reports are very helpful and it is easy to amend or create new reports to suit business requirements. 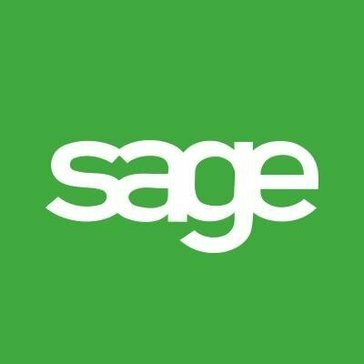 The Report writing functionality is perhaps more limited than some others however it is sufficient for most business needs..
For medium to large companies I would suggest Sage is a good package to use. We use the system for most aspects of HR/payroll from storing Employee date to monitoring Attendance/ Sickness as well as payroll. It is a full service HRMS that provided what my company needed when we were small enough. It wasn’t integratable with the other systems we used for timekeeping and payroll. It didn’t necessarily solve a problem that we had, it was just a solution to the need that we had for an HRMS. Once we hit a certain size we realized it was no longer practical to use three different systems for our needs in HR. Very easy to use and the add on modules offer lots of options to meet a variety of needs. The suite of offerings have been great to use. Also, the employee self service has been a good thing for everyone. It has been an issue to fully set up integration with our accounting general ledger. We are using Sage ERP and it is still not fully integrated after a year of trying. The implementation process for the HRMS and Payroll is great. The LMS part took much longer than expected. Make sure you have a good project plan for implementation of the add on modules. HRMS, Payroll, LMS and GL integration. The product is pretty easy to use and navigate. Do no use the system to its full potential, but in seeing how other systems work, Sage seems to be outdated. "Sage 50 Payroll (Professional) Review"
I think the system is extremely user friendly and that someone even with a limited payroll background would be able to administer the software. Reporting to HMRC is extremely easy through the FPS and EPS and the Pensions Module will allow those who are goigng through Auto Enrolment to be complaint providing they use the software effectively. I don't think there is a comprehensive enough suite of reports available readily in the system. In larger companies especially where there are large Finance departments who want sophisticated reporting from payroll, I don't particularly think Sage should be the software of choice. I would say Sage 50 Payroll is suitable for Smaller companies perhaps up to around 300 staff who seek to get basic information out of payroll. Company Size - will this product fulfil all Finance reporting needs? I used the Sage 50 software in my previous company in which we brought the payroll 'in house' from being previously outsourced. The software gave us a much better control over employeer relations and also resolved a communication issue of being the 'middle man' when anything went wrong. Ease of use, calculation of shift differentials for our nursing staff and historical information is simple to look up. The payroll processing system is easy to navigate. Lack of ACA reporting functionality. Also, this product lacks in the HR arena. Support can be challenging, specifically during end of year processes. The product also can't accept the leave balances from our timekeeping software. We have a number of shift differentials and job codes specific to healthcare that Sage HRMS handles well. Sage HRMS is easy to configure and use. Very reliable and tracks history well. Table structure is intuitive, allowing us to bring that data over easily into other applications. I like the ability to see all time punches in one location and the editing capability. The best thing about it was how easy it was to use. The layout was logical and the flow made sense, making it easy to learn. The worst part was its limitation of customization and the reports that you pull. The business problems it solves is the segregation of duties between Payroll and HR and one solid platform for HR tracking. The payroll feature is pretty seamless. Works well, easy to navigate menus. Seems like too often there are updates and sometimes cause the program to crash or have had issues logging in. "Streamlined approach to HR Payroll Data Exchange"
Providing the set up is done properly/configuration meets business demand, the system is very easy to use and the data flows freely. there are rooms for improvement and should be carefully reviewed by someone who is able to use the system freely. Ideally robust report writing and an international solution. "Easy to use and very straight forward"
What I like most about the program is that it is very easy to learn and use. It can be sometimes quite hard to pinpoint any mis-calculations and find the core problem. The business problems that would apply for our our company would be accounting based. I think it's great how Sage can be tweaked to suit any company's needs. Organized all of our demographics, employment and review information. Ease of report functionality. Intuitive system. Less paper. Manager access to reviews. Interface and access to reports. Full employee disclosure. I don't dislike any part of the product. * We monitor all Sage HRMS reviews to prevent fraudulent reviews and keep review quality high. We do not post reviews by company employees or direct competitors. Validated reviews require the user to submit a screenshot of the product containing their user ID, in order to verify a user is an actual user of the product. Hi there! Are you looking to implement a solution like Sage HRMS?